Celebrate Leonardo da Vinci with us and stay in our hotel next to the Dome of Florence and the Uffizi Gallery, for a rich weekend dedicated to culture! “Leonardo da Vinci a Firenze: 500 anni dalla morte”: one of the most important events of Florence for 2019! Within easy reach of Hotel Il Guelfo Bianco! Florence, the cradle of the Renaissance, has an indissoluble tie with Leonardo and his artworks, celebrated by three fundamental exhibits dedicated to his master – Il Verrocchio – to the Atlantic Code and to botany, in the amazing settings of Palazzo Vecchio and Palazzo Strozzi. Leonardo da Vinci naturally awaits you also in the Uffizi Gallery, where “La Nuova Sala” is the space that hosts three of his works realised for holy places – the “Adoration of the Magi”, the “ Annunciation” and the “Baptism of Christ” – in a suggestive and innovative context, that creats an almost perfect vision. 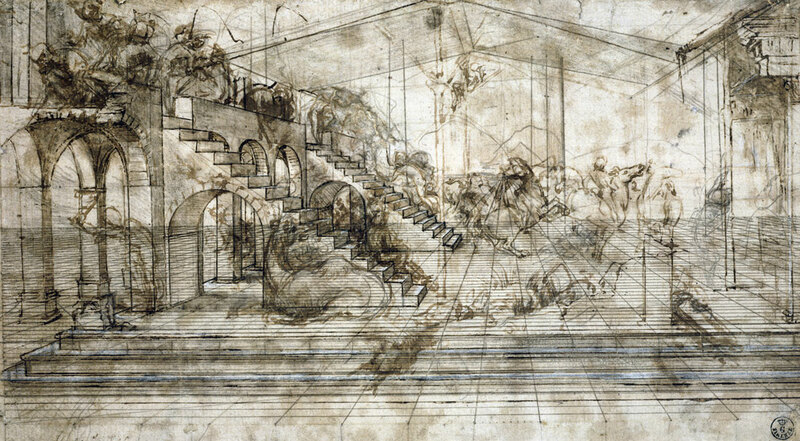 Moreover, we suggest you to visit the Galilei Museum, where you can find several things regarding Leonardo, for the occasion of the celebration of the 500 years from his death, you can find the animates vision (with the most recent multimedia techniques) of the bronze horseback statue commissioned by Francesco Sforza. So, in Florence you will find events, shows and exhibitions ready to make you discover the importance of such an eclectic artist, really universal, like Leonardo da Vinci! If you end up feeling passionate about the artwork of Da Vinci, you will be really able to unveil the history of our city and his territory, in the site of Anchiano, in the municipality of Vinci, where the “Genius” was born in 1452, in a house you can still visit. Treat yourself with a fun and relaxing cultural weekend in Florence, celebrating the Renaissance Genius of Leonardo, booking your room with us, at Hotel Il Guelfo Bianco, near the Uffizi Gallery and the Dome of Florence! dedicated to art and culture in Florence! Until July 14th you will be enjoy the artworks of master Andrea del Verrocchio at Palazzo Strozzi! Read more and book! Until July 14th the artworks of master Andrea del Verrocchio at Palazzo Strozzi! Read more about it! Hotel Il Guelfo Bianco welcomes you for a very special weekend of art and culture in Florence. Discover why! If you love fashion and style, you can't miss the Pitti event. Here is all you need to know about it! The heart of the Florentine life in the Easter period is the Duomo di Santa Maria del Fiore, a few steps away from our hotel. Visit the Opera del Duomo Museum in Florence! Visit one of the most important museums in Florence! The Museo dell'Opera del Duomo awaits you near our hotel in the historic center! SPECIAL OFFER: Christmas in Florence. All the tips about visiting Florence in December, shopping and culture. Things to see in Florence: the Ospedale degli Innocenti and its museum! The Ospedale degli Innocenti was cutting-edge for Florence! Discover why reading our article! Hotel Il Guelfo Bianco: your hotel for the exhibition of Marina Abramović in Florence! Visit the exhibition of Marina Abramović at Palazzo Strozzi and stay at the Art Hotel Il Guelfo Bianco! Read all about it in our article! Stay in one of the hotels in Florence historic centre: between famous landmarks, “grulli” and hats! Stay in our hotel in Florence historic centre and enjoy the funny story of the Loggia del Porcellino! Weekend in Florence with the family: the Museum of Palazzo Vecchio! The summer offers some good reasons to visit Florence! For example the Museum of Palazzo Vecchio! Where to stay in Florence for the Dragon Boat Festival 2018! Hotel Il Guelfo Bianco: the right place to stay in Florence to see the Dragon Boat Festival 2018! Decide to go on a city break trip to Florence. Choose il Guelfo Bianco and you will have the tickets to the Uffizi Gallery for free! Check all the hottest offers of our hotel in the center of Florence: a wide range of promotions to satisfy all tastes! Learn more about the exhibition and its artists! In a busy hit and run world, the ultimate luxury that can be granted is to enjoy a slow travel experience in Florence with us! 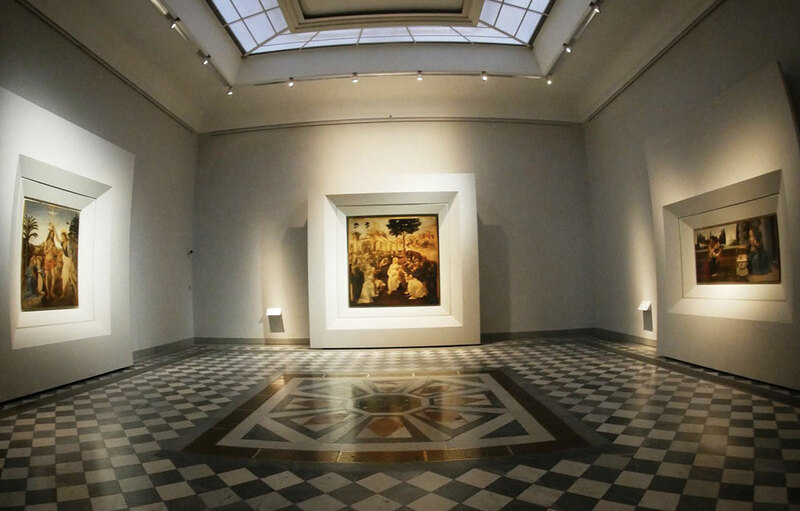 Discover the beauty of the Accademia Gallery in Florence. Book at Hotel Il Guelfo Bianco and have your entry for free! OUR WELCOME DRINK: FARM TO TABLE APERITIF IN FLORENCE! Be ready to enjoy a farm to table aperitif in Florence, at our Hotel Il Guelfo Bianco. A wide selection of wines, beers and soft drinks, accompanied by organic fresh products. Romantic hotels such as Il Guelfo Bianco are the perfect choice for those wanting to celebrate the important moments of their love story. Здесь вы найдете расположение отеля Il Guelfo Bianco, расположенного в центре Флоренции, всего в 10 минутах ходьбы от центрального железнодорожного вокзала и всего в 25 минутах езды от аэропорта. Read our article and discover how to celebrate New Year 2019: We are waiting for you to welcome the new year in Florence! Enjoy our Special hotel treat near Piazza Duomo in occasion of the Florence Marathon 2018, November 25th 2018. Read the winner finale of our web serie finale award! Have fun enjoying this alternative ending of the story! Florence is a magic place, the ideal destination for couples in love who wish to join their hearts as one. Discover how! Gerardo Rueda in Florence. Discover its paintings at Il Guelfo Bianco: Pintura Verde & Pintura Roja, right there while you have breakfast! A rare pearl in the heart of Florence: museum of the Opificio Delle Pietre Dure! A stone made masterpiece museum. Learn more about the Uffizi Gallery in Florence, the most visited museum in Italy. Facts & curiosities of Vasari’s masterpiece. Discover all about the events in Florence for Summer 2017: things to do and experience. Learn more about the almost unknown Florentine traditional handcraft: buy an handmade straw hat while you are in Florence! Save the Date for the most popular events and exhibits in Florence during springtime and early summer 2017. In Florence there is a special taxi that rocks the streets of the city: discover the story of Aunt Caterina and her taxi cab Milano 25. Florence made the history of the street food. Here we tell you how to feel as a local by stopping at the “vinaini” for a snack. Sporting events in Florence for those who want to keep in shape even during their holidays. Follow some advices by our hotel manager Antonella, a runner for passion and a runner at work! Every story has its own origin, often unknown, intriguing and surprising. Florence is no exception. Visit the Horticulture Garden in Florence: a green pearl in the cradle of Renaissance. An itinerary not to be missed during your stay. Discover more about the Duomo of Florence and its magical way of signing the time passing by. Are you ready to speak like a real Florentine while in vacation? Here are some lessons you can take before going. A visit to Florence:Art, good food and hospitality in Florence. Discover the advantages of a gourmet holiday in Florence. A perfect holiday in Florence: give yourself a much well deserved break to body and soul and book our Wellness package. THE BREAKFAST TEAM AND A FOOD MILES BUFFET! Learn more about our typical genuine Italian breakfast: a food miles buffet that offers all the taste and flavours of our country. ‘IL CONTENZIOSO’ BY RANALDI IN OUR ART HOTEL IN FLORENCE CENTER! Another amazing contemporary art masterpiece that every one can admire at our hotel: “Il Contenzioso”’ by the valuable artist Ranaldi. Learn how to speak as a real Tuscan! Idioms and cultural facts about the most loved dialect in Italy! MEET THE TEAM OF IL GUELFO BIANCO HOTEL FLORENCE ! Meet the team of the Hotel Il Guelfo Bianco and learn more about past, present and future of our hotel and team. A perfect combination of artistic beauty and good food that make it one of the most fascinating cities in the world. Discover the extraordinary chinese artist Ai Weiwei and its artworks in Florence. What will your reaction be like? AN ART HOTEL IN FLORENCE: HOTEL IL GUELFO BIANCO! A story that every art lover will enjoy: Silvio Loffredo, a post-expressionist artist, part of Il Guelfo Bianco art collection. GIULIO TURCATO AT THE ART HOTEL IL GUELFO BIANCO OF FLORENCE! Il Guelfo Bianco of Florence now has a new, precious work of art: Superficie Lunare: a contemporary art jewelry by Giulio Turcato. Hotel Il Guelfo Bianco, when art meets your vacation spot. An art hotel in the center of Florence. The front desk of our hotel is the frontline, the place where we meet you. Discover who we are and what we can do for you! An open door philosophy into an exclusive yet absolutely informal environment offering a real farm-to-table experience in Florence. As soon as you walk inside the hotel you will notice a very peculiar painting on canvas: the man in his pyjamas by Aldo Mondino. Fancy a trip to Florence this Autumn? Here is why you should definitely do it! Come and admire Florence's beauty in this period! Learn more about the scuola del cuoio of Florence, a hidden treasure that must be visited during your stay in the city.